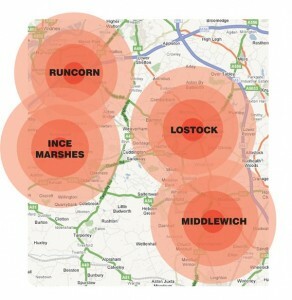 Cheshire – the toxic dumping ground of the UK? Cheshire County Council’s Waste Local Plan, which outlines local government’s strategy for dealing with waste across the county from now until 2017, designates six sites as ‘suitable for thermal treatment plants’. Thermal treatment is simply a fancy way of saying ‘burning things’, which basically means that they want to build incinerators to dispose of Cheshire’s rubbish. 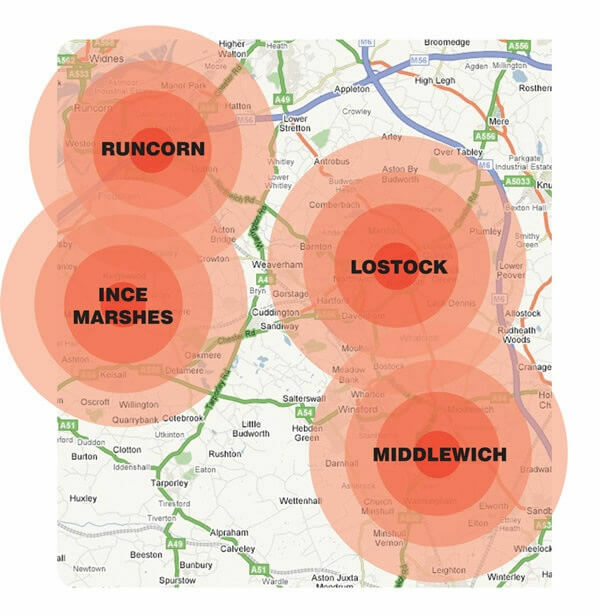 These sites are at: WM2 – Associated Octel, Ellesmere Port, WM3B – Bridges Road East, Ellesmere Port, WM4 – Brook Lane Industrial Estate, Middlewich, WM12B – Griffiths Road, Lostock Gralam, Northwich, WM14 – Moss Lane, Sandbach and WM17 – Pyms Lane, Crewe. Maps for all of these sites can be downloaded as pdf files from here. There would also need to be a facility to dispose of the toxic fly ash produced by these incinerators and currently the only such site in Cheshire is at the Bostock Panel Mine in Winsford. So far, there are proposals from commercial organisations to build incinerators on four of these sites. Two of these – the proposals for Runcorn and Ince Marshes – have already been accepted. If all the applications are granted, Cheshire will have a capacity to burn over 2,000,000 tonnes of waste a year. This is in addition to existing facilities such as the Cleanaway facility at Ellesmere Port. Yet according to the Waste Local Plan, the maximum amount of burning capacity the county would need by 2015 is 387,401 tonnes. In fact, if just one of the proposals was accepted, we would have more than enough capacity to burn all the waste we produce every year in Cheshire. Which begs the question where will all the waste to feed these incinerators come from? Confused about where Bedminster, Covanta, RRS and Viridor fit into all of this? Read this article from the Middlewich Guardian.